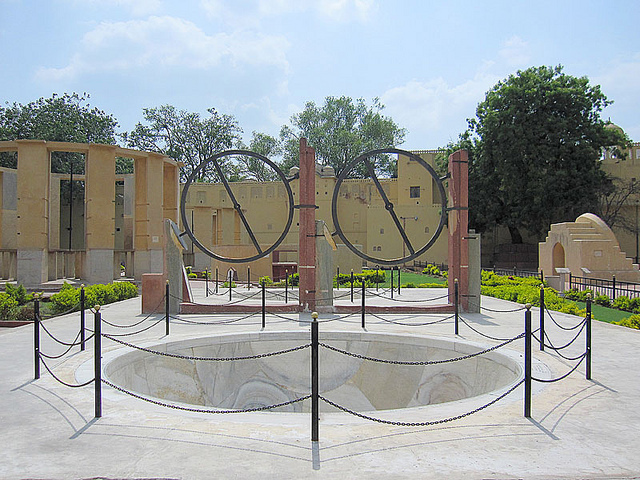 He did this through sheer luck, canny diplomacy and the realization that modern gunpowder based weapons would be at the heart of future internecine Indian warfare. 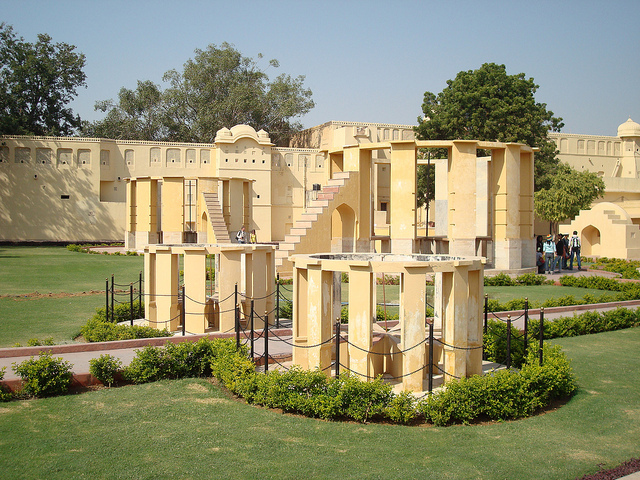 He had always been interested in science and when he was at the court of the Mughal Emperor in 1719 he witnessed a debate which would change his life. 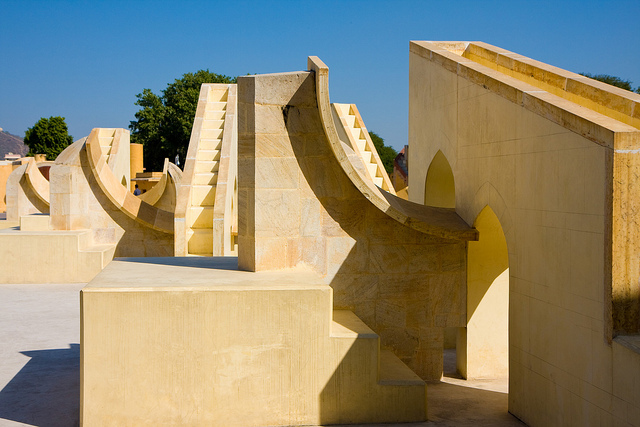 The discussion centered on the date upon which the Emperor, Muhammed Shah, should start a journey. 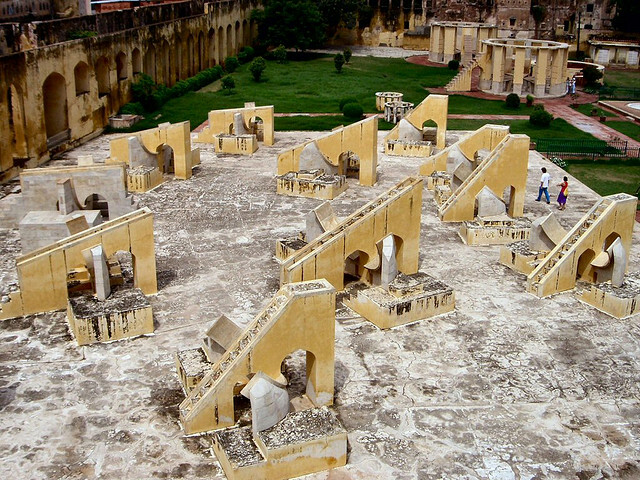 As such the date had to be auspicious and it was then that Jai Singh II decided to educate the Indian nation around astronomy. 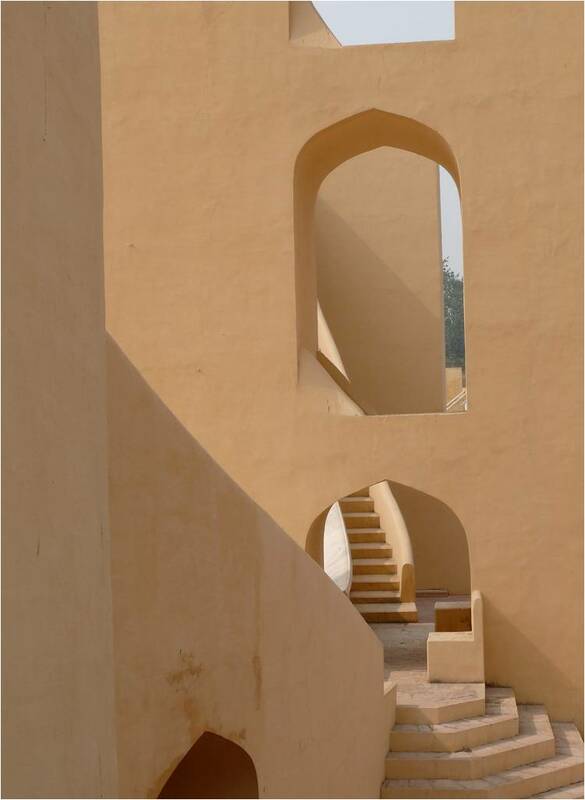 Somehow, during this tumultuous time of invasion and civil war he found the funds not to mention the time to build no less than five observatories, of which Jantar Mantar is the largest and the best preserved. 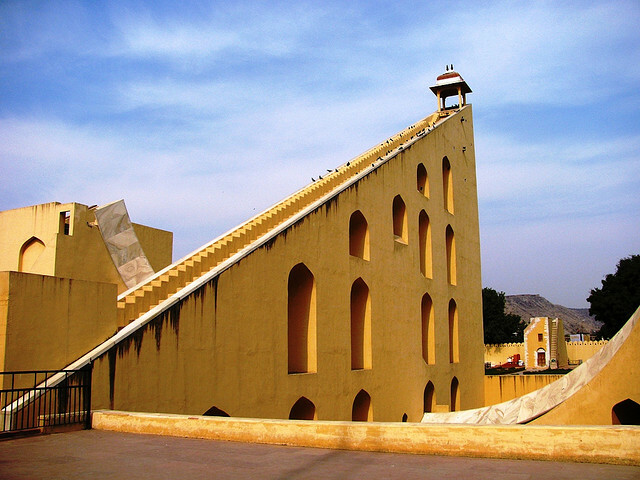 Jai Singh II ordered the observatory to be built in his new capital of Jaipur between 1727 and 1734 and it was the second of the five to be built. Those times must have been exhilarating as the city itself was recently founded and under construction. 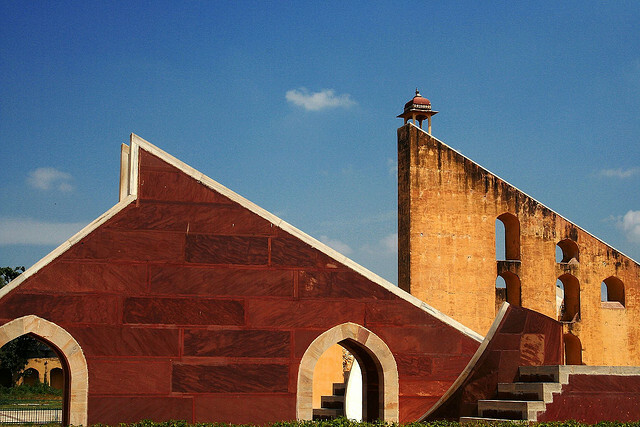 At the same time as building the observatory, Jai Singh II proceeded to implement new and fairer laws for his people. 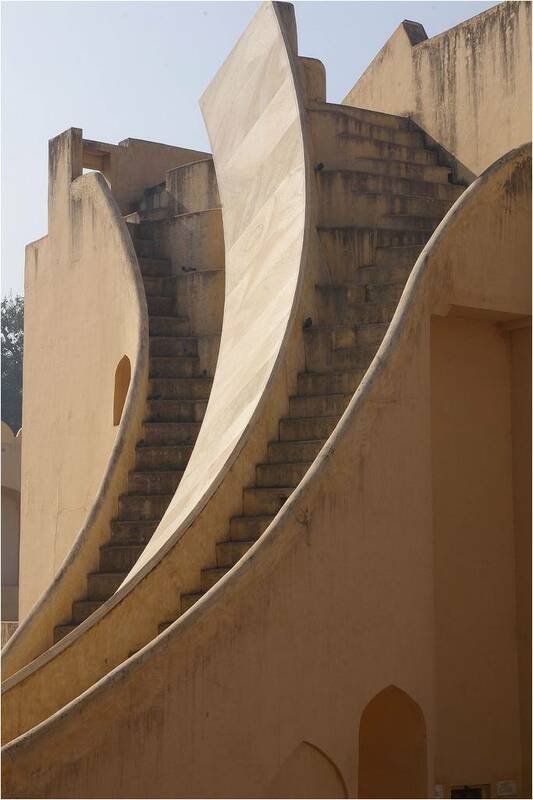 To those in his court and to the Maharajah himself it must have seemed something like an Indian renaissance. 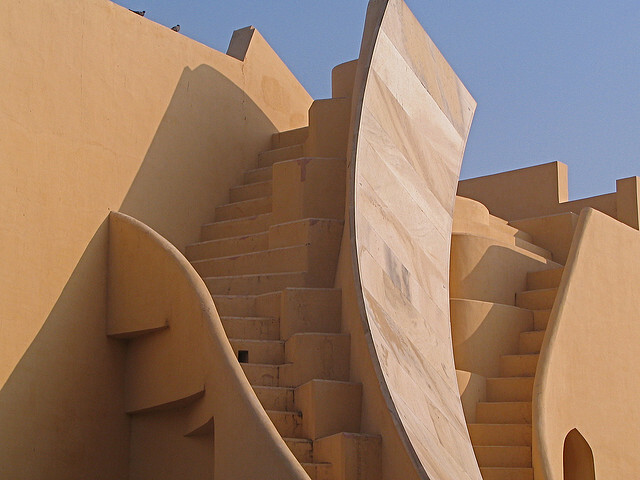 Jantar Mantar was the scientific heart at the center of the new city. The name literally means calculation instrument. Science and religion were married. 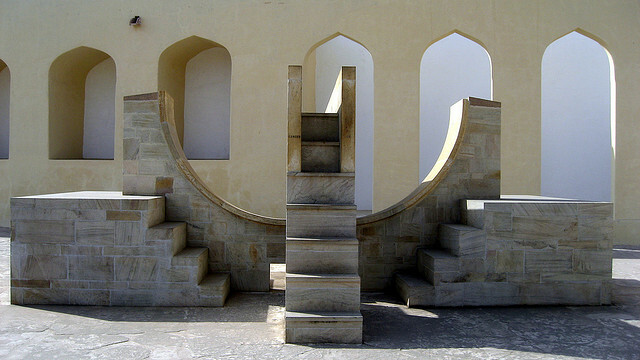 Astronomy and astrology were regarded as parts of the same discipline. 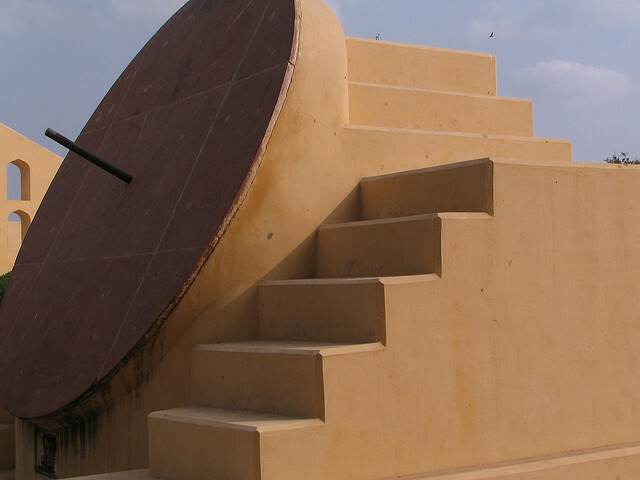 Perhaps because of this the observational systems and apparatus used in his observatories were finer and more sophisticated than those used by the European Jesuit astronomers he encouraged to visit his observatories. 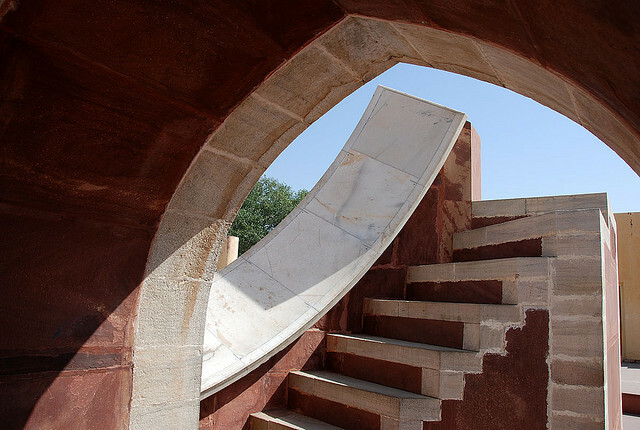 All told there are fourteen devices in the astronomical complex Jai Singh II built, each more intriguing than the last. 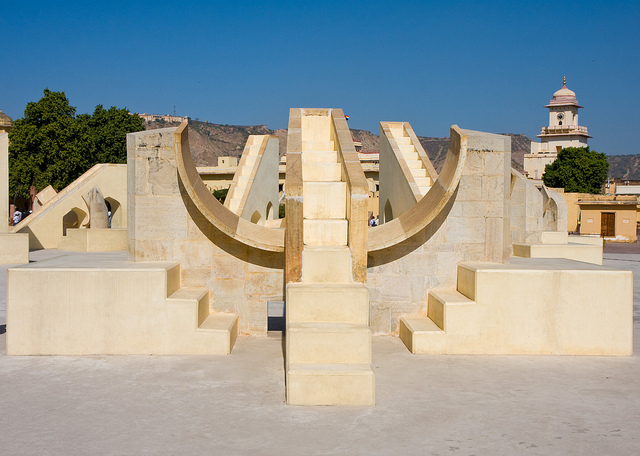 They were (and still are) used variously to measure the time of day, predict eclipses and to track the location of stars. 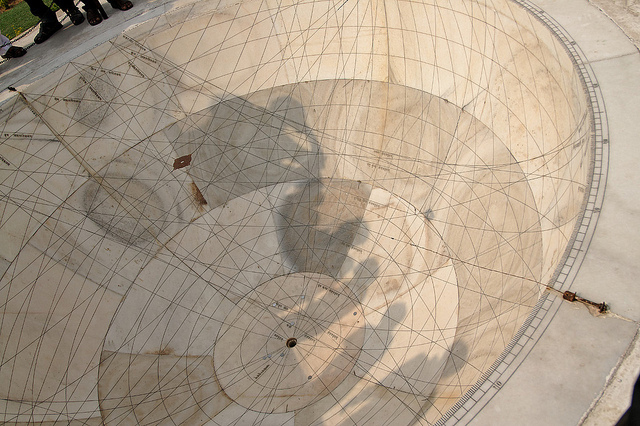 They were also used to track the orbit of the earth, work out the declination of the planets of the solar system (those then discovered) and to work out celestial altitudes. 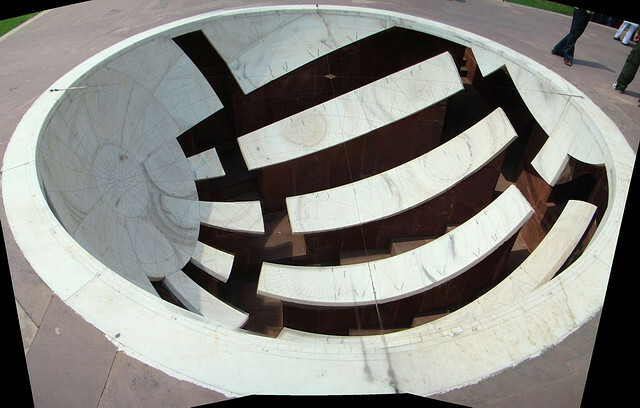 Each one of the pieces is fixed but their dimensions are sometimes staggering when you consider their age. 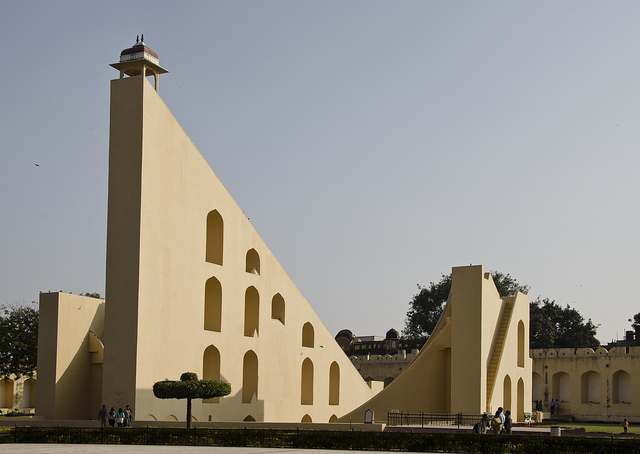 The largest is 27 meters in height and is called the Samrat Yantra (above). 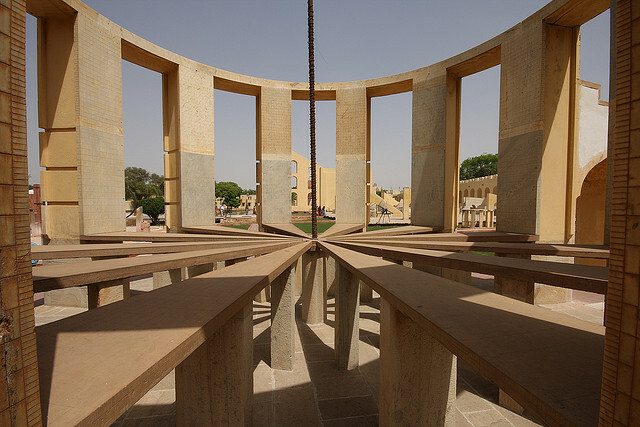 It is a giant clock, its shadow used to tell what time of day. 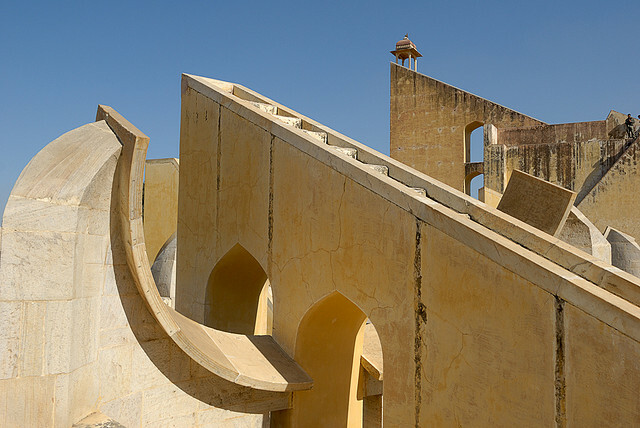 You can see a cupola at its top (known as a chhatri). 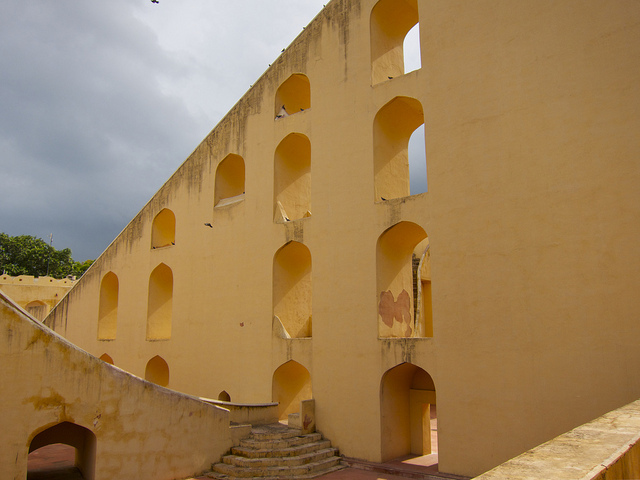 There the astronomers would announce various astronomical events – and would even forecast the weather from there too. 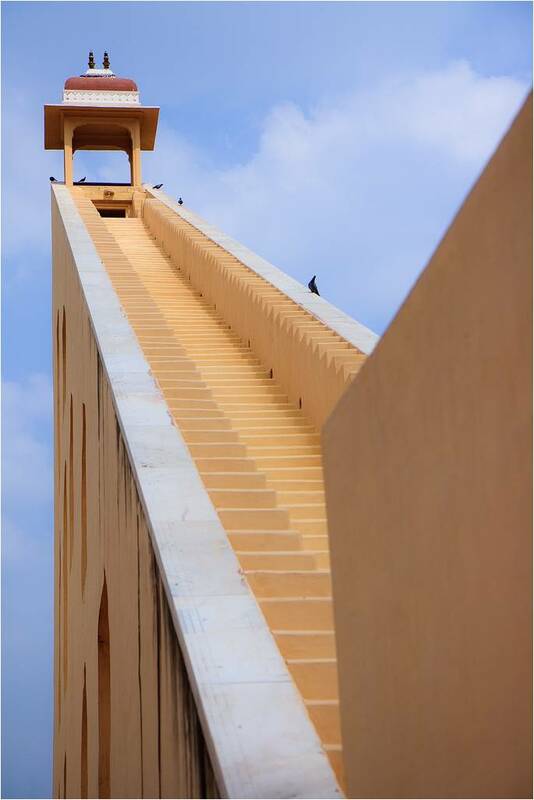 It is not surprising when you hear that many have people have said the whole complex reminds them of an MC Escher woodcut come to startling life (even if Jantar Mantar does predate the artist's work by around two centuries). 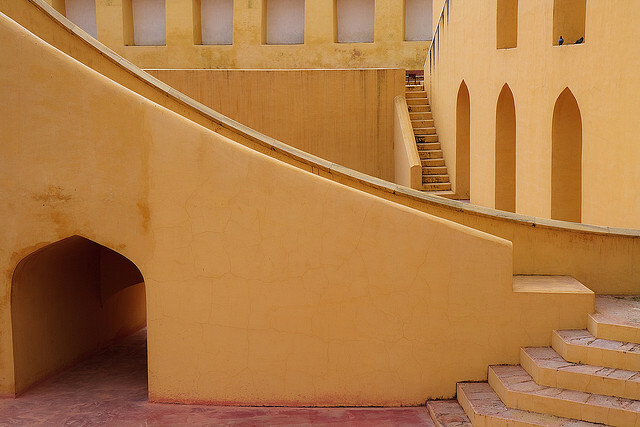 Although one might assume that the sheer scale of the instruments might increase their accuracy, unfortunately the opposite was true for Jantar Mantar. 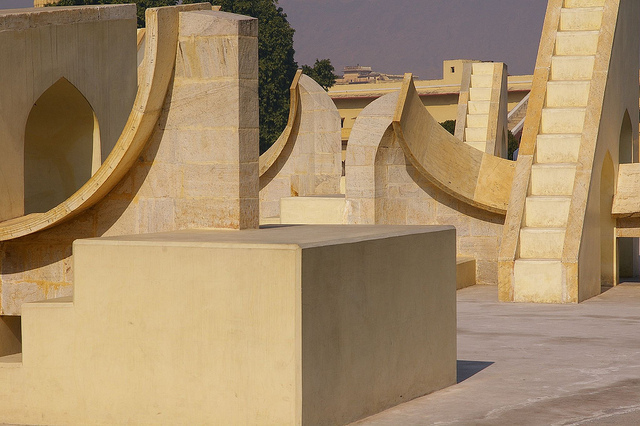 Due to their size they are easily misaligned, especially when the ground beneath them subsides. 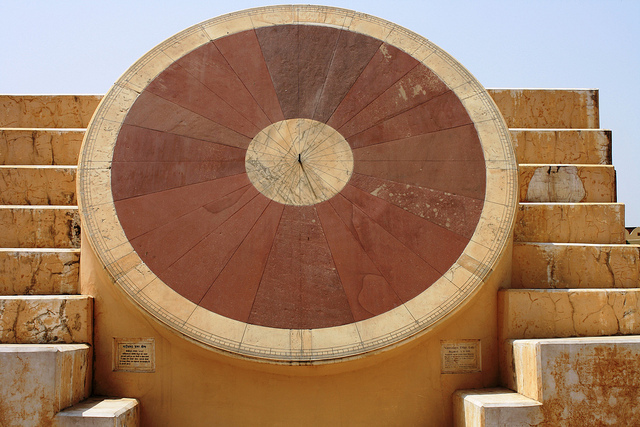 Yet the giant sundial can tell the accuracy of the time to within a second. In the eighteenth century this was, to say the very least, something of an achievement. 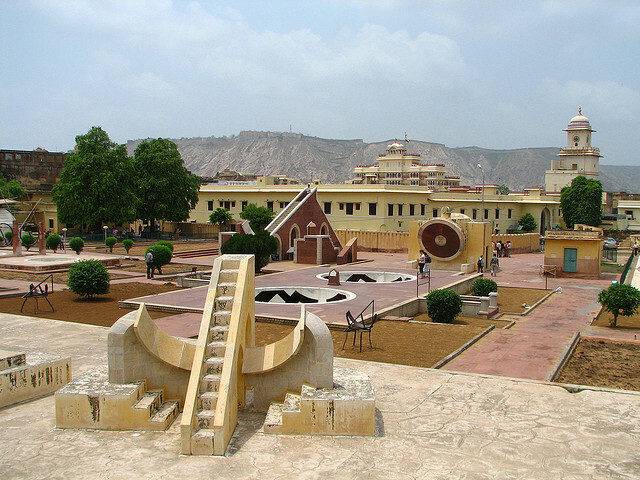 Little wonder, then, that the sundial is known as the Samrat Yantra – which translates as The Supreme Instrument. 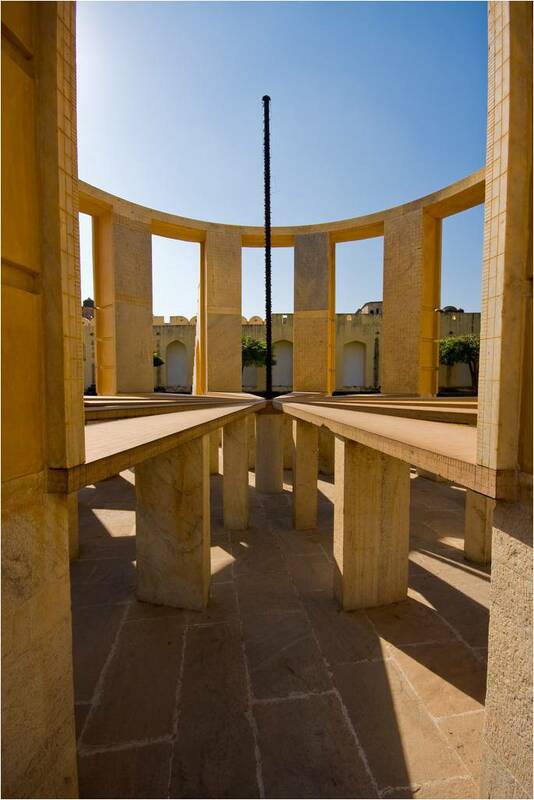 It remains the largest sundial in the world to this day. 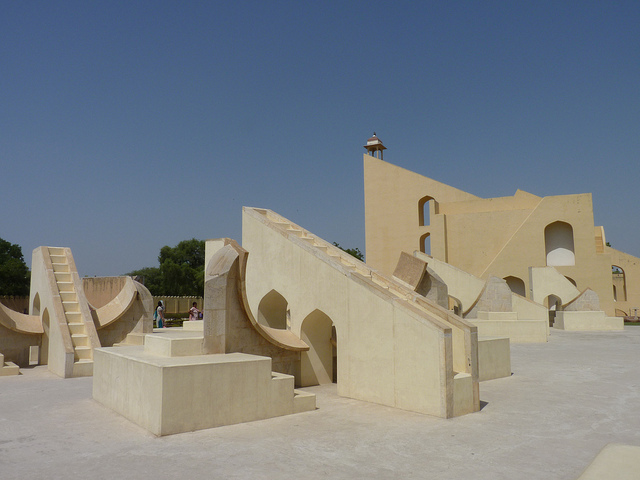 Jantar Mantar is still very much in use. Local astronomers use it to predict the weather for local farmers – although it has to be said that the proliferation of TV and satellites means that their time may be coming to an end. 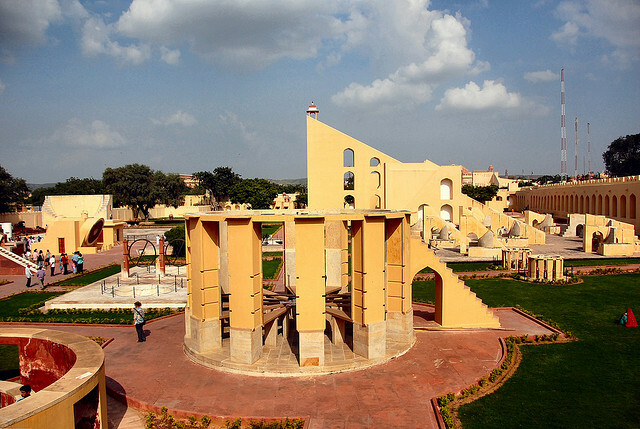 Students of astronomy and Hindu astrology (Vedic) still take classes there. 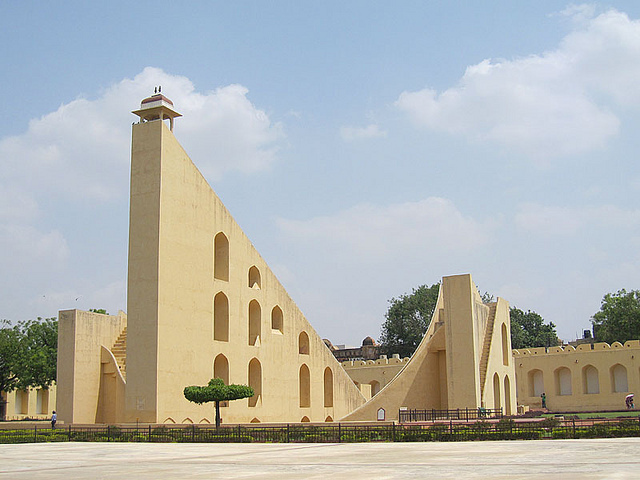 Sawai Jai Singh II is still very fondly remembered in India for many other achievements, and is looked upon as the most enlightened maharajah of 18th Century India. 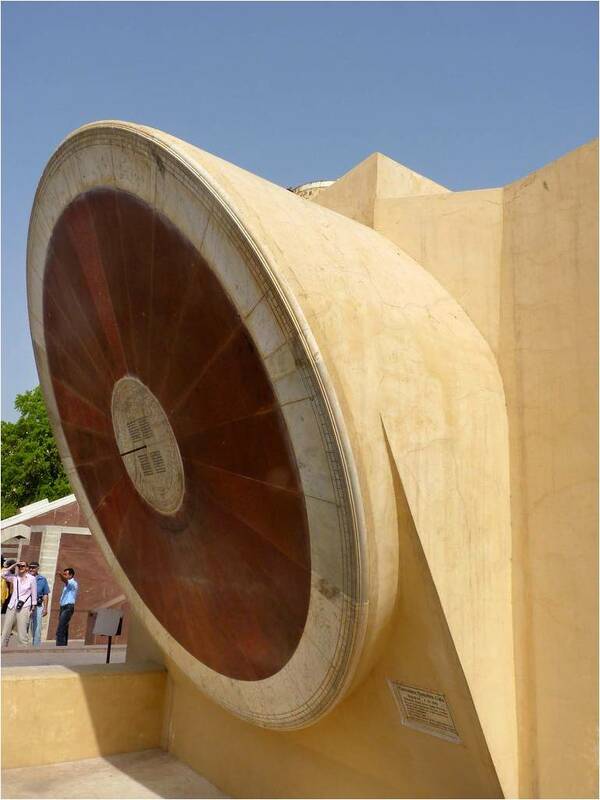 For the rest of the world, possibly, he will be remembered as the man who gave us the world's largest sundial. That's no bad thing when all is said and done.